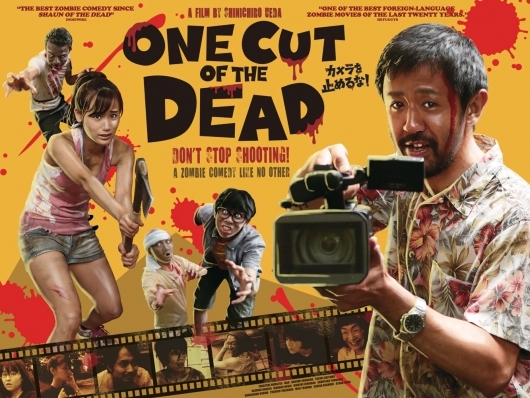 Made for only $27,000, One Cut of the Dead, which went by the original Japanese title Kamera o tomeru na!, has grossed $28 million in Japan and $30 million worldwide and currently sits at 100% on Rotten Tomatoes. The film will be releasing on Shudder later this year in the U.S., Canada, Australia, and New Zealand. Shinichiro Ueda’s One Cut of the Dead starts with a film crew shooting a zombie movie who stumble into an actual zombie outbreak—all shot in a single, 37-minute take. From there, the story widens its focus, transforming into a comedic love letter to the spirit of indie filmmaking that conjures up unstoppable ingenuity in the face of overwhelming odds. One Cut of the Dead’s wild, crowd-pleasing final 30 minutes reframes everything you thought you saw in an outrageous new light. The film’s cast, mostly non-professionals, is led by Harumi Shuhama, Kazuaki Nagaya, Mao and Takayuki Hamatsu. An English-language remake of the film is also in the works, from Japan-based American producer Patrick Cunningham. A go-to destination for horror fans of all ages and true cinephiles as well, Shudder is only $49.99 a year or $4.99 a month and you can check it out with 7-day free tryout by going to shudder.com.